Our new babies are out on the floor! 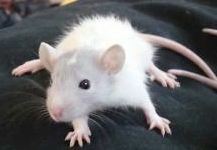 Check them out; we have some hooded and some dumbo rats (so cute), both males and females. Why do rats make such great pets? They are highly intelligent – they can easily learn their name and come when you call them, in addition to learning many other tricks. They are sized just right: not too big and not too small to handle. They are very clean, spending up to 30% of time bathing themselves. They don’t sleep all day, and love being woken up to play. They are incredibly social – they rarely bite and love to hang out with you. Want more info? Check out our rat care sheet here, or stop by, meet these great little pets, and talk with our staff! New! Living World Tents and Tunnels. Living World Tent for small pets provides a cozy and secure hideout for a variety of small animals. The roomy tent is made of a sturdy metal frame covered with resilient and easy to clean polyester fabric. The tent’s interior includes a removable and machine-washable fleecy liner for added nesting comfort. The tent is collapsible and stores easily. For indoor or outdoor use (includes corner ties to secure to the ground). 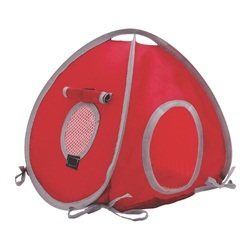 Living World Small Tunnel is specially designed to attach to a Living World Small Tent for small pets. It provides small animals with extended space for play and exploration. It can also be used as stand-alone play area for tunneling and burrowing. The polyester fabric makes a crinkly sound for added amusement. For indoor or outdoor use (includes corner ties to secure to the ground). 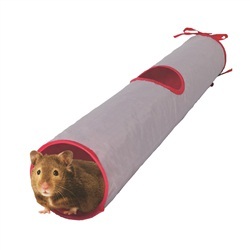 Small size is suitable for hamsters, gerbils, mice and rats.